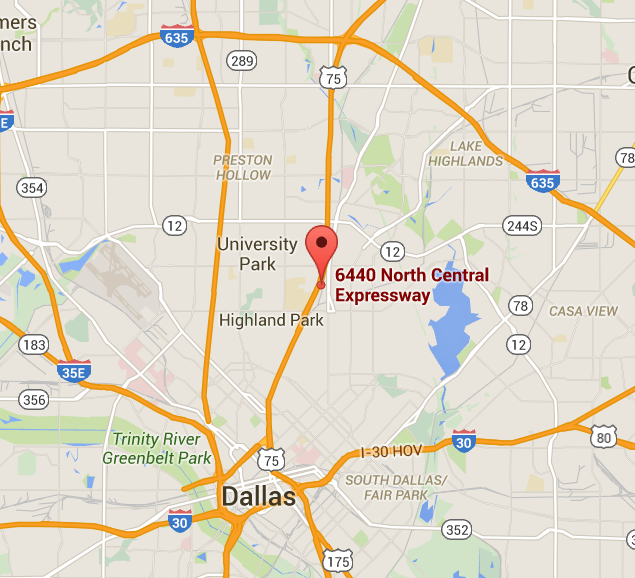 Directions from the North: Take 75 Central Expressway south and take the Lovers Lane/University exit. Do not turn on Lovers, instead stay straight heading south on the service road until you come to the next light which is University Blvd.. Turn left on University and cross back over 75 Central Expressway. The name on the building is "TURLEY LAW CENTER" located on the corner of University and 75 Central Expressway. There is free valet parking in the parking garage. Our office is located on the 3rd floor, suite #310. Directions from the South: From downtown Dallas, take 75 Central Expressway north and take the Mockingbird Lane/University Blvd. exit. Do not turn on Mockingbird, instead stay straight heading north on the service road until you come to University which is the second light after Mockingbird. The name on the building is "TURLEY LAW CENTER" located on the corner of University and 75 Central Expressway. There is free valet parking in the parking garage on the north side of the building. Our office is located on the 3rd floor, suite #310.